Orange County Orchid Society, Inc.
our mission is to promote the education, appreciation, conservation and cultivation of orchids. 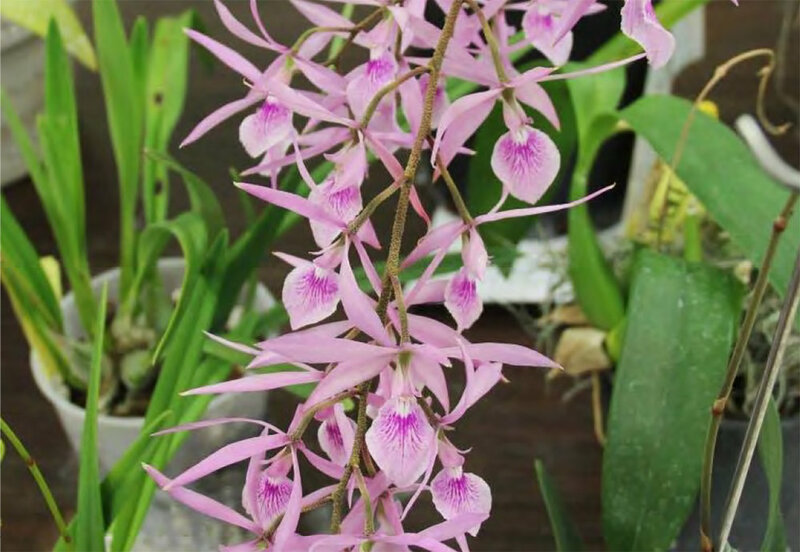 Orange County Orchid Society provides an opportunity for members to enjoy their passion for growing beautiful orchids and enjoy relationships with an outstanding group of people. COME AND JOIN US FOR A NIGHT OF FUN! Ready to take the next step? You can become a member to our Society and enjoy all the benefits that it offers through out the year. Member Jeff Young is intent in getting this mount just right. Members and guests select mounting workshop plants. This is serious business!